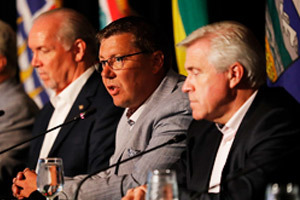 HALIFAX, July 27, 2012 – Premiers will work together to ensure Canada’s continued economic success. Identifying efficiencies and innovations within government to improve services for Canadians and make tax dollars go further. 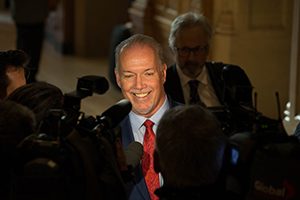 Premiers play an important role in Canada’s trade expansion. Nova Scotia Premier Darrell Dexter will lead a COF mission to China in September, 2012. This will be the COF’s second mission to China. It will focus on further developing relationships with one of Canada’s fastest-growing trade partners and matching our strengths with opportunities in global markets. The mission will include stops in Beijing, Shanghai and Hong Kong and representation at the World Economic Forum in Tianjin. 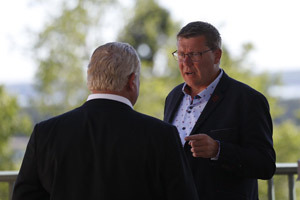 Premiers received an update on the status of negotiations to conclude the Canada- European Union negotiations towards a Comprehensive Economic and Trade Agreement (CETA). 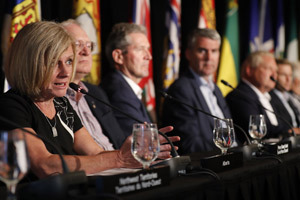 They welcomed action from the federal government to significantly involve provinces and territories in this negotiation and reiterated the importance for their governments to have the opportunity to participate in the management of any future agreement. Recognizing that there are still important issues under discussion, they intend to stay closely involved in the negotiations to make sure that the ambitious agreement they are looking for is in the best interest of their citizens. A number of other important international trade negotiations have recently been undertaken by the federal government, including the recent invitation to participate in the Trans Pacific Partnership (TPP). Premiers are committed to working with the federal government in the TPP negotiations as well as future global trade and investment opportunities that enhance Canada’s economy. 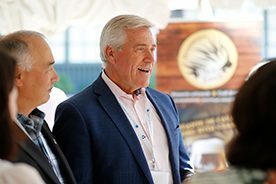 To this end, Premiers are calling on the federal government to enter into a framework agreement on the involvement of provinces and territories in all trade negotiations based on their positive and productive involvement in CETA negotiations.